The Supreme Gold Edition TRMX 4 Original ® achieves ten (10) times more the removal rate of heavy metals, enhances cognitive, social skills, creativity and intelligence. August 1, 2018, Kenrico today announced positive result from the latest large-scale clinical study. Result from the clinical study showed a significant result of TRMX 4 Original in heavy metals cleansing, cognitive, social skills, creativity, and intelligence enhancement. TRMX 4 Original provides significant improvement from the TRMX-3 30th Anniversary: 10.26 times the improvement of total alpha brainwaves, 1.55 times the improvement of maximum alpha brainwaves, and 3.09 times the improvement of SE index (TR-MED964). Nurman Salim, the President of Kenrico, said "This is the first time a new treatment can be enhanced up to 10 times the effectiveness of the previous treatment. It shows Kenrico's continued leadership and commitment to deliver highly effective treatments." Watanabe MD, Kenrico senior head researcher, said "At the core of our research program is a commitment to investigate the potential of Supreme Gold TRMX 4 Original. These important data propelled us to continue to research and to provide the best treatment for all patients suffering from heavy metals poisoning, severe depression, cognitive impairment, learning disabilities, or for people who just want to improve their creativity, intelligence, and social skills." Kenrico is a global research-driven pharmaceutical company dedicated to putting patients first. Established in 1985, Kenrico currently discovers, develops, manufactures and markets prescription and alternative medicines to address unmet medical needs. The Company devotes extensive efforts to increase access to medicines through far-reaching programs that not only donate Kenrico medicines but help deliver them to the people who need them. Kenrico also publishes unbiased health information as a not-for-profit service. For more information, visit www.kenrico.com. April 31, 2017, Kenrico today announced that the Supreme Gold Edition TRMX 4 Original and the Diamond Hybrid Edition DHE 30th Anniversary have been approved for market release. The inclusion of Hydrogen Antioxidant in TRMX 4 Original and DHE 30th Anniversary is found to triple the effectiveness of the original treatment. "The TRMX 4 Original and the DHE 30th Anniversary are the remarkable progress that are being made against illnesses, diseases and disorders." said Watanabe, MD, Kenrico senior head researcher. "We highlight our clinical breakthrough with our continuous commitment to our customers and patients." The Supreme Gold Edition TRMX 4 Original provides 300% more analgesic, anti-inflammation and anti-stress properties (world-wide patents 7182965, 4485940, 03720506.09) and has been proven highly effective to enhance cognitive, social skills, creativity and intelligence. The Diamond Hybrid Edition DHE 30th Anniversary breaks down unwanted fat pockets, removes water retention, shrink the fibrous bands that contribute to dimpling of the skin, and tightens the overlying skin by stimulating collagen formation with no diet, no pills, no exercising and no plastic surgery. October 27, 2016, Kenrico today announced new finding conducted by Kenrico scientist on the discovery and development of Hydrogen Antioxidant, a negatively charged hydrogen with natural antioxidant properties that improves lipid and glucose metabolism, reduces inflammation, allergies, and rapid aging. Hydrogen Antioxidant expands and contracts the wall of activated sporopollenin that causes it to absorb more heavy metals, toxins and pesticides. "The development of new activated ingredient for treatment of inflammation and rapid aging has long been a focus of biomedical research." said Suzuki Akio, MD, pharmacologist, Kenrico. "Hydrogen Antioxidant supercharges activated sporopollenin, and more patients suffering from heavy poisoning can benefit from the treatment." February 14th, 2015, Kenrico today announced the successful clinical trial of the Supreme Gold Edition TRMX-3 30th Anniversary. The clinical trial of TRMX-3 30th Anniversary represents the largest and most intensively studied Kenrico Sap Sheet over the past decade, with more than 200 patients randomized. The clinical trial confirms the effectiveness of TRMX-3 30th Anniversary in increasing relaxation while enhancing productivity, intelligence, and positive thinking. "The result proves why patients continue to select our Kenrico Sap Sheet to help treat their health problems," said Suzuki Akio, MD, pharmacologist, Kenrico. "I cannot stress enough, how important it is to use TRMX-3 30th Anniversary to enhance your health. Not only it removes heavy metals, excess uric acid and oxalic acid that are responsibles for kidney problems, TRMX-3 30th Anniversary promotes relaxation, improves productivity, intelligence and positive thinking too. These factors are essential for all treatment to be successful." The site is the second Kenrico's factory in Japan which is also the center for the research and development of new pharmaceutical technologies. "We have a very clear understanding of medical practitioners' expectations around the world to have an effective and proven treatment for curing illnesses, diseases and disorders. Each day millions of families count on TRMX-3 to help them be able to live a healthy life," said Suzuki Akio, MD, researcher, Research & Development, Kenrico. 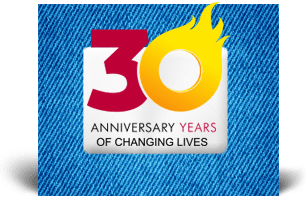 "We dedicate the anniversary edition of TRMX-3 to all health practitioners in the world who have trusted us to continue to save and improve lives for more than 30 years." 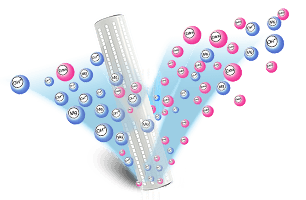 TRMX-3 ® is a medical treatment based on Japanese toxins cleansing technology (International patent 8317762, 7182965, 6793945, 6413556) invented by Suzuki, M.D (Pharmacologist, Kenrico) and Nurman S (Biophysical Scientist, Kenrico) designed to help treat the underlying cause of internal and external inflammation and immune response of illnesses from toxins. 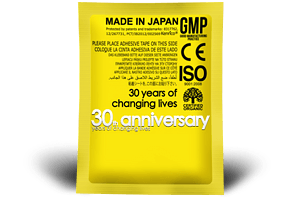 The 30th Anniversary Edition of TRMX-3 contains almost twice the amount of sporopollenin, the only proven organic compound in the world that binds various substances such as heavy metals, toxins and pesticides like a sponge. Its antimicrobial activity is also suitable as pharmaceutical composition for treating a microbial disease and heavy metals poisoning and as a cosmetic composition for treating age-related or sunlight-induced wrinkle formation. Kenrico Sap Sheet has been evaluated in many major clinical outcome studies: Brain Wave Research (2003), Far Infrared Research (2004), Negative Ion Research (2004), Heavy Metals Research (2005), LDL-Cholesterol and Triglycerides Research (2006), Lifestyle and Blood Analysis (2006-2007), Miscroscopic Research (2008), Effects of ZEO Pads on Heavy Metals Detoxification (2009), DEFENSOR I (2011) and DEFENSOR II (2013). April 23rd, 2014, Kenrico today announced the Japan National Tax Agency (NTA)'s award of tax compliance excellence. Tax compliance excellence certificate is awarded exclusively to Japanese corporation in good standing with corporate's tax history of 10 years or more. "Our reputation and the trust that our customers have in us depend on how we run our company responsibly," said Nurman Salim, biophysical scientist, Director, Kenrico. "Hence, proper accounting, tax filing, infrastructures, and all important aspects of running a trustable business are important to assure successful business with our clients for years to come. I am proud to say that Kenrico has been awarded with tax compliance excellence." January 12th, 2014, Kenrico today announced the forthcoming Ion Shower Head LE (Limited Edition), which will be the flagship model of its next generation of shower heads. It will arrive as the successor to the Ion Shower Head EX, with improvements on the previous model's ergonomic feature, material, durability and effectiveness. As Kenrico's new flagship model, the Ion Shower Head LE (Limited Edition) features a new crystal-clear transparent look, new aqua aura crystals, more hot spring minerals, better ergonomic grips, and a more advanced water jet system (micromist). The forthcoming Ion Shower Head LE shower head will retain many of the well regarded feature of previous model, including high quality natural crystals, great beneficial ions and far infrared rays. "Ion Shower Head LE will further expand the possibilities for users who demand the best possible results from their everyday shower," said Watanabe, MD, Kenrico senior head researcher. 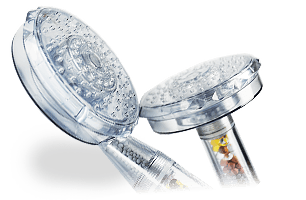 "The Ion Shower Head LE represents a concentration of Kenrico's advanced shower head technologies and legacy as leader in stress and diseases-related treatment. 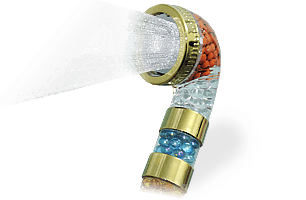 The LE will build upon the success of the acclaimed Ion Shower Head EX, a shower head highly regarded for its transparent look, high quality crystals, and hot spring minerals with beneficial ions and infrared rays." September 9th, 2013, Kenrico today announced the completion of an open-trial clinical study. The clinical study over the period of 30 days confirmed the effectiveness of Diamond Hybrid Edition (DHE ®) in eliminating excess fats and cellulite. 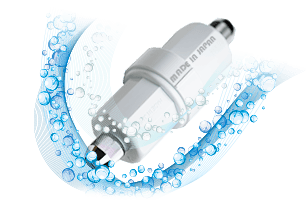 DHE ® is a medical treatment based on Japanese toxins cleansing technology (patent 8317762, 7182965, 6793945, 6413556) invented by Suzuki, M.D (Pharmacologist, Kenrico) and Nurman S (Biophysical Scientist, Kenrico) designed to help cleanse the body from toxins and to help the body disperse and eliminate fats and cellulite while at a rest. "DHE is the key to remove excess fats and cellulite without requiring much effort on your part," said Watanabe, MD, Kenrico senior head researcher. "From now on you can forget wearying diets, exhausting exercises, taking dangerous diet pills and being in fear of weight rebound. DHE makes you fit and lets you get your rest at the same time." 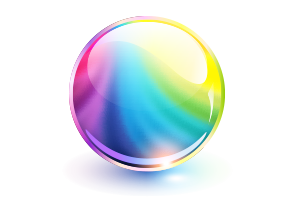 Kenrico Sap Sheet has been evaluated in many major clinical outcome studies: Brain Wave Research (2003), Far Infrared Research (2004), Negative Ion Research (2004), Heavy Metals Research (2005), LDL-Cholesterol and Triglycerides Research (2006), Lifestyle and Blood Analysis (2006-2007), Miscroscopic Research (2008), Effects of ZEO Pads on Heavy Metals Detoxification (2009), DEFENSOR (2011), and DEFENSOR II (2012). March 31st, 2013, Kenrico today announced the successful completion of the phase 4 clinical trial. Researchers presented results from the DEFENSOR II after clinical trial sessions over the span of ninety-six weeks. All long-term and short-term treatment utilizing The Supreme Gold Edition (TRMX-3 ®) provides a very significantly boost to the physical and mental health. 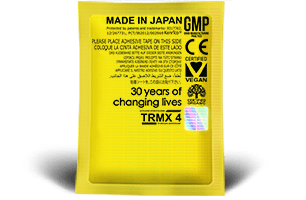 TRMX-3 ® is a medical treatment based on Japanese toxins cleansing technology (patent 8317762, 7182965, 6793945, 6413556) invented by Suzuki, M.D (Pharmacologist, Kenrico) and Nurman S (Biophysical Scientist, Kenrico) designed to help treat the underlying cause of internal and external inflammation and immune response of illnesses from toxins. "We are pleased to present new results of the TRMX-3 ® to the scientific community that we believe will be valuable in searching for the ultimate key to cure many diseases," said Suzuki Akio, MD, researcher, Research & Development, Kenrico. "DEFENSOR II enables our researchers and scientific partners to understand how significant and how effective TRMX-3 ® is, in curing many diseases." Kenrico Sap Sheet has been evaluated in many major clinical outcome studies: Brain Wave Research (2003), Far Infrared Research (2004), Negative Ion Research (2004), Heavy Metals Research (2005), LDL-Cholesterol and Triglycerides Research (2006), Lifestyle and Blood Analysis (2006-2007), Miscroscopic Research (2008), Effects of ZEO Pads on Heavy Metals Detoxification (2009), and DEFENSOR (2011). November 30th, 2012, Kenrico announced today the availability of strategic partnership through patents, trademarks or brand names licensing. The strategic partnership enables Kenrico to continue to expand and provide the best and the safest medical products for their clients. "In the last month alone, we received hundreds of inquiries from companies that were interested in partnership with us which unfortunately had to be turned away due to the unavailability of licensing at that time," said Nurman Salim, biophysical scientist, Director, Kenrico. "The recent patent approvals of toxins cleansing technology (patent 8317762) have increased the value of our products 1000%. After much consideration, we felt it is our obligation to extend the value to partners that include our present distributors through licensing. Together with our partners, our products will reach part of the worlds that were not available to us previously. We will be able to provide more cure to additional millions of people." November 23rd, 2012, US Patent Office announced today the successful application for the grant of a key US and International Patent for Kenrico's toxins cleansing technology, popularly known as Sap Sheet, Detox Pads or Detox Patches. This signals the achievement of patent coverage for Kenrico Sap Sheet in the world. Kenrico Sap Sheet is active against a wide range of illnesses ranging from heavy metals poisoning, arthritis, hypertension, fibromyalgia, diabetes and symptoms such as fatigue, headache, stress, slow learning, and other range of symptoms. 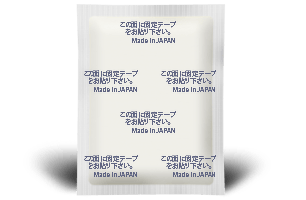 The new patent provides protection around Sap Sheet as wastes and toxins cleansing, detoxification, blood circulation, physical and mental improvements. "We are pleased that our top, highly effective product for the treatment of many illnesses, Kenrico Sap Sheet, has achieved world wide recognition in terms of its value and effectiveness" said Nurman Salim, biophysical scientist, Director, Kenrico. "Our partners with hospitals and medical clinics, including our authorized distributors all over the world, will be pleased to learn the excellent progression of our product." March 1st, 2012, Kenrico today announces the continuation of the DEFENSOR Study (DEFENSOR II). The top results of DEFENSOR Study in January confirmed the effectiveness of The Supreme Gold Edition (TRMX-3) to provide cure against pain, inflammation, physical and mental stress. DEFENSOR II (Determining the EFficacy of the MENtal and PhySical BOosting with SpoRopollenin), a phase 4 clinical trial, has started its preparation since May 2011 and will be analyzed in a very large scale of participants. TRMX-3 showed that its analgesic and antidepressant properties significantly improved body health in the fight against pain, inflammation and stress, compared to standard of care. Improvement from fatigue, ability to wake up feeling rested, increased energy and stamina, improvement from joint pains, leg aches, body aches, quality of facial skin, overall feeling of well being, quality of mental focus and concentration and increased confidence were reported by the participants. "TRMX-3 has set a very high bar in the efficacy of all physical and mental stress treatments" said Suzuki Akio, MD, researcher, Research & Development, Kenrico. "The continuation of the study, DEFENSOR II, enables our researchers and scientific partners to help better understand the profile of this treatment in specific patients populations and to determine the next steps, including improved prescribing and regulatory filings." Kenrico Sap Sheet has been evaluated in many major clinical outcome studies: Brain Wave Research (2003), Far Infrared Research (2004), Negative Ion Research (2004), Heavy Metals Research (2005), LDL-Cholesterol and Triglycerides Research (2006), Lifestyle and Blood Analysis (2006-2007), Miscroscopic Research (2008), Effects of ZEO Pads on Heavy Metals Detoxification (2009) and DEFENSOR (2011). January 11th, 2012, Researchers at Kenrico today presented and published official results from DEFENSOR (Determining the EFficacy of the MENtal and PhySical BOosting with SpoRopollenin). The results from DEFENSOR were presented after successful clinical trials. The official report of DEFENSOR is now available to all Kenrico's authorized distributors. In the trial, TRMX-3 ® showed significant improvement of mental and physical health in the performance studied. During the 2-month treatment phase, the study occurred in randomly selected group of first team football players and coaches of Woking Football Club. At the end of the study, statistically significant differences in the performance were recorded. When comparing the results of the football matches during the human clinical trial with the TRMX-3 ® to previous performance without the TRMX-3 ®, a statistical analysis presented a maximum increase of 300% of winning percentages. Improvement from fatigue, ability to wake up feeling rested, increased energy and stamina, improvement from joint pains, leg aches, body aches, quality of facial skin, overall feeling of well being, quality of mental focus and concentration and increased confidence were reported by the participants. "The results of DEFENSOR provide us some insight into the potential role of TRMX-3 in the fight against diseases, and are certainly worthy of further examination," said Watanabe, MD, Kenrico senior head researcher. "Previous results of clinical trials in heavy metals and toxins extraction should give us greater insight into the effect of TRMX-3 in different group of patients with certain illnesses." July 20th, 2011, Recent global success of sporopollenin enables Kenrico to receive European and world wide patent for sporopollenin production. The European patent 03720506.09 is the extension of US patent 7,182,965 and Japanese patent 4,485,940. "TRMX-3 with sporopollenin has been a tremendous success. Its impressive performance has exceeded all goals and expectations," said Suzuki Akio, MD, researcher, Research & Development, Kenrico. "Our reputation and the trust that our customers have in us depend on how we conduct ourselves as a manufacturer. Hence, answering to the popular demands of our customers, securing worldwide patent is important to assure continuous sporopollenin production for the TRMX-3 for years to come. I am proud to say that Kenrico has been the only manufacturer in the world to produce sporopollenin." The world wide patents cover the use of sporopollenin in all applications as an antimicrobial pharmaceutical composition for treating a microbial disease and heavy metals poisoning, a cosmetic composition for treating age-related or sunlight-induced wrinkle formation, a nutritional supplement for vertebrates and a supplemented beverage. Sporopollenin is able to bind various substances such as heavy metals, toxins and pesticides like a sponge. May 5, 2011, Researchers today presented results from the clinical study, DEFENSOR (Determining the EFficacy of the MENtal and PhySical BOosting with SpoRopollenin) with Kenrico's TRMX-3 ®. In the trial, TRMX-3 ® showed significant improvement of mental and physical health in the performance studied. During the 2-month treatment phase, the study occurred in randomly selected group of first team football players and coaches of Woking Football Club. At the end of the study, statistically significant differences in the performance were recorded. When comparing the results of the football matches during the human clinical trial with the TRMX-3 ® to previous performance without the TRMX-3 ®, a statistical analysis presented a maximum increase of 300% of winning percentages. Improvement from fatigue, ability to wake up feeling rested, increased energy and stamina, improvement from joint pains, leg aches, body aches, quality of facial skin, overall feeling of well being, quality of mental focus and concentration and increased confidence were reported by the participants. "These results serve as the foundation for our decision to further develop TRMX-3 ® with sporopollenin," said Watanabe, MD, Kenrico senior head researcher. "TRMX-3 ® has been confirmed its effectiveness throughout numerous microscopic and clinical studies. Although, its efficacy in extracting toxins such as heavy metals, reducing pain and stress are widely known, the efficacy of the TRMX-3 ® in boosting mental and physical health that relate to performance has not been confirmed until now. We look forward to continuing to study TRMX-3 ®." March 20th, 2011, Kenrico announced today that all Kenrico's facilities or factories in Kanaya and Shimada have been declared clear and not affected by radiation. Kenrico will continue to perform radiation examination for every single batch of manufacturing to eliminate any risk of radiation contamination from Fukushima province. Kenrico is taking all precaution necessary and guarantee that all products and ingredients manufactured by Kenrico are safe and not exposed to radiation. "Although Kenrico's factories are geographically located very far and are not affected by the earthquakes, tsunami or radiation in the Fukushima province, Kenrico is taking additional precautionary steps to ensure absolutely no radiation exposure to our products", said Fujita, MD, Quality Assurance, Kenrico. "Every ingredients and every manufacturing batches at Kenrico has been triple inspected and will continue to be triple inspected for every production. We can guarantee and assure our clients that our products are still and always 100% safe and 100% effective. The manufacturing standard of Kenrico is graded as one of the world's best in terms of safety and quality. 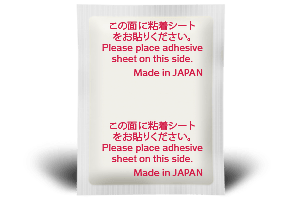 All of our ingredients are typically grown in-house in Shizuoka province in a closed environment protected by HEPA filters and sensors. During manufacturing, the ingredients are processed in clean-room environment away from dust particles, away from dangerous germs or bacteria and obviously away from static electricity and away from radiation. Kenrico Quality Assurance Teams have been certified by Japanese Ministry of Health and ISO 9001:2000 to perform these inspections." January 11th, 2011, Kenrico announced today that the new imprinting capability is now available for all products. Imprinting offers flexibility for small to medium companies that seek private labeling on Kenrico's manufactured products. 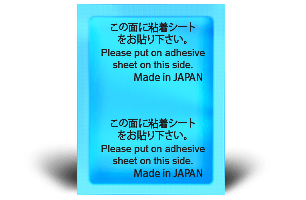 Imprinting also meets the labeling requirement sets by U.S Food and Drug Administration (FDA), European Authorized Bodies (CE marking) and Health Canada. "Kenrico has been providing extra capabilities to assist companies develop their own products and marketing strategies," said Nurman Salim, global director, Kenrico. "Not only we are committed to deliver highly effective products to our consumers, we are fully committed to assist them to reach great success. 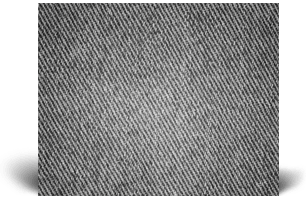 The imprinting capability is an important milestone in our effort to bring forward an extra option for small to medium companies." More information of the new imprinting capability is available online at kenrico.com/japan/factory.html. December 1st, 2010, Kenrico today announced the launch of Kenrico Forever Alkaline Water Stick Purifier, a practical solution in fighting diseases, aging and magnesium deficiency. 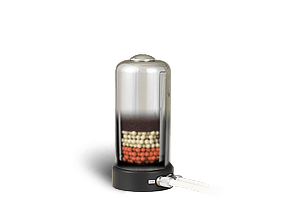 Kenrico Forever Alkaline Water Stick Purifier is a compact cylindrical tube that fits in water bottle, thermos, and other containers on the go. 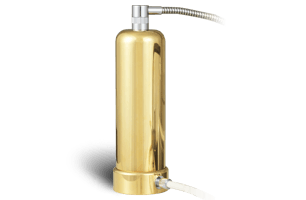 It is the most practical and most effective water purification system. Better still, it lasts forever. "With the progress of our research in miniature and nanotechnology, this mini cylindrical stick was finally developed with great success. It creates oxygen-rich water, reduces bacteria and supplements magnesium without human effort and guaranteed to work forever under normal use. It can be used repetitively without any limit. Just place it in a water bottle and thermos, fill them with water or beverages, and that's it", said Suzuki, Akio, MD, researcher, Research & Developement, Kenrico. "Although most people understand the importance of drinking alkaline or oxygen-rich water, magnesium deficiency is often forgettable. Magnesium deficiency is widespread, but often under-detected because the role of the magnesium, not only is a plasma, but intercellularly. A significant portion of symptoms related to many chronic disorders are caused by a magnesium deficiency like allergies, fibromyalgia, migraines, etc. The Forever Alkaline Water Stick Purifier adds this missing magnesium into water and more. It has the capability to cure most common diseases." More information of The Kenrico Forever Alkaline Water Stick Purifier is available online at https://www.kenrico.com/forever_alkaline.html. May 12th, 2010, Kenrico announced today that they have achieved the capability to produce Anti-Apoptotic composition, LEXIRIN (patent numbers 6,793,945 and 6,413,556)..
LEXIRIN is a medical breakthrough for the treatment of gastrointestinal disorders, deleterious dermatological conditions, immunosuppression or immunodeficiency, reperfusion damage resulting from ischemia, cardiovascular disorders, transplantation, wound healing, tissue rejection and Alzheimer's disease, and the treatment of adverse reactions from medications. Researched by Dr. Bathurst and Foehr, LEXIRIN also may significantly decrease conditions and diseases caused by aging and blocked blood circulation. "Emerging research and Phase I human clinical trials further confirms its effectiveness and safety," said Watanabe, MD, Kenrico senior head researcher. 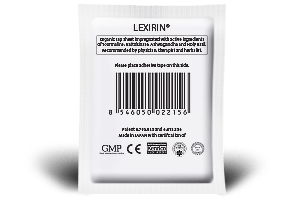 "Extracted from organic soybean, Lexirin is a key ingredient in treating gastrointestinal and cardiovascular disorders, wound healing and many symptoms related with adverse reactions from medications. Since many diseases are related to apoptosis condition, such as ischemia, using Lexirin with its Anti-Apoptotic property proven to help restore these elements is important." 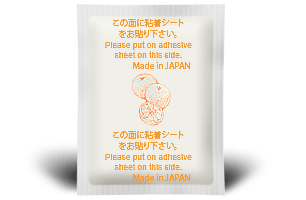 April 15th, 2010, Kenrico announced today that it has received Japanese patent for Sporopollenin use in the Supreme Gold Edition (TRMX-3). The Japanese patent 4,485,940 is the extension of US patent 7,182,965. The patent covers the use of sporopollenin in all applications as an antimicrobial pharmaceutical composition for treating a microbial disease and heavy metals poisoning, a cosmetic composition for treating age-related or sunlight-induced wrinkle formation, a nutritional supplement for vertebrates and a supplemented beverage. Sporopollenin is able to bind various substances such as heavy metals, toxins and pesticides like a sponge. "Both patents are the evidence of Kenrico's continued leadership and commitment to deliver highly effective and absolutely safe treatments to the patients," said Suzuki Akio, MD, researcher, Research & Development, Kenrico. "Meeting our patient's demand is consistent with Kenrico's values as a health care company and is critical to our business operations." 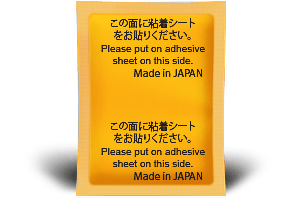 January 15th, 2010, As a result of successful regulatory approvals in Sporopollenin production, Watanabe, MD, Kenrico senior head researcher, said the company has completed the manufacturing of Supreme Gold Edition (TRMX-3) with Sporopollenin (patent number 7,182,965). "Our goal is to meet our patient's demands for highly effective and safe method in the treatment of heavy metals poisoning. Today, we hope to have achieved that goal by becoming the first company in the world that has successfully manufactured Sporopollenin for application in alternatives and pharmaceutical drugs. Successful health treatment depends on high quality products that work safely and effectively, and the TRMX-3 is the answer to that demands." Sporopollenin is a major component of the tough outer (exine) walls of spores and pollen grains. The natural ingredient is a very significant discovery for its reputed analgesic and antidepressants effects to relieve stress and depression. The patent covers the use of sporopollenin in all applications as an antimicrobial pharmaceutical composition for treating a microbial disease and heavy metals poisoning, a cosmetic composition for treating age-related or sunlight-induced wrinkle formation, a nutritional supplement for vertebrates and a supplemented beverage. Sporopollenin is able to bind various substances such as heavy metals, toxins and pesticides like a sponge. December 20th, 2009, Kenrico and Dr. Maack today announced that they have entered into a definitive agreement by which Kenrico will continue the research and apply the invention in pharmaceutical fields for the benefit of patients with heavy metals poisoning, stress, depression, microbial disease, aging skin and cancer. Dr. Maack is a renowned scientist with specific expertise in chemistry and microbial-derived biologics. "At Kenrico we continue to expand our pharmaceutical expertise and manufacturing capability to meet our patients' demands for highly effective and absolutely safe pharmaceutical products," said Watanabe, MD, senior head researcher, Research & Development, Kenrico. "By continuing the research, Kenrico through its distributors will be able to help many more patients that need our utmost care." The definitive agreement is subject to regulatory GMP approval in Japan for the continuation of the research and setting up an operational facility to produce the sporopollenin for application in alternative and pharmaceutical drugs such as kenrico sap sheet, detoxifying capsules, anti-germ disposal facial mask and arigato lotion. October 21, 2009, TRMX-3, SUPREME GOLD edition, is the world's first and most potent detoxification pads. TRMX-3 is impregnated with 8.5 grams of patented formula with 6.00 grams of Tourmaline, an upgrade from 4 or 5 grams in TRMX-1, TRMX-2 and TRMX-2i. Kenrico is pleased that the regulatory agencies of CE (Conformite Europeenne), GMP (Good Manufacturing Practice) and ISO (International Standard Organization) approved the TRMX-3, bearing their marks, to be safe and effective. TRMX-3 is for use in adults and children above 3 years old for the prevention and relieve of fatigue, headache, double vision, blood pressure, arthritis, rheumatism, skin problems, stress, slow learning, hot flashes due to menopause, and mood swings, Crohn's disease, Fibromyalgia, and heavy metal poisoning. 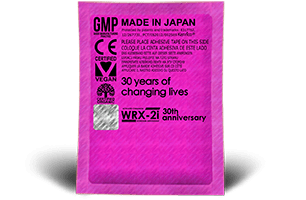 "Kenrico has been committed to pursuing the use of the TRMX-3 in both males and females since the earlier TRMX-1 was developed over a decade ago," said Suzuki Akio, MD, researcher, Research & Development, Kenrico. "We are pleased that the regulatory agencies agree that the data support the compliance of TRMX-3." Clinical trials presented to the regulatory agencies in 2003, 2005 and 2008, evaluated the efficacy, immunogenicity and safety of Kenrico pads in adult men and women 21 to 65 years of age. Efficacy in males and females were evaluated in a randomized, double-blind, placebo-controlled trial. A total of 2,620 participants were enrolled and received daily dose of Kenrico pads or placebo. Of these, 1,042 were men aged 21 to 65 years and 1,578 were women aged 21 to 65 years. Hair, blood analysis and brainwave pattern analysis revealed an improvement after continuous 12 to 24 weeks and significant improvement after continuous 2 years of treatment with Kenrico pads. 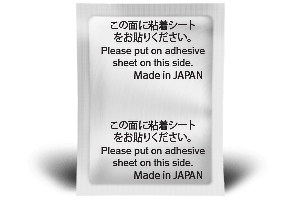 October 6th, 2009, Kenrico will begin launching Carbon-Titanium Adhesives with EasytouchTM in both domestic and international markets in the third week of October 2009. 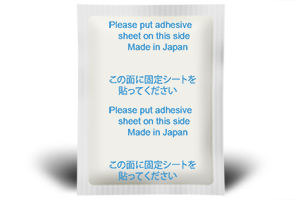 EasytouchTM is a patented method of pads attachment with the adhesives tapes for simple and easy application. Carbon-Titanium Adhesives is a titanium and carbon combination for patients with tendonitis, bursitis, arthritis and immobility. 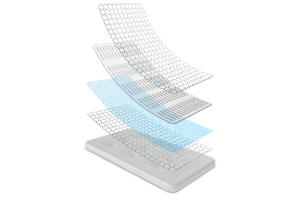 "Kenrico is pleased that we are now able to supply Carbon-Titanium Adhesives with the EasytouchTM in demanding markets and continue our long-standing commitment to help address unmet medical needs in cardiovascular care," said Watanabe, MD, senior head researcher, Research & Development, Kenrico. 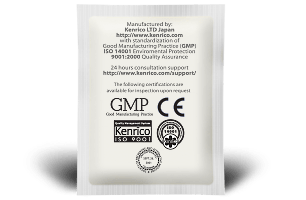 July 20th, 2009, Kenrico Disposal Facial Mask ® is the first facial mask with carbon titanium and antigerms capabilities. 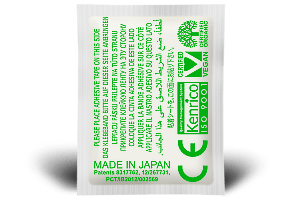 Since 1997, Kenrico Facial Mask has been used over 10 million people to protect against avian and swine flu. In 2008, Kenrico made a commitment to produce at least 10 million of Kenrico Facial Mask over two years to help address the problem of avian and swine influenza infection. In July 2009, the first Kenrico Disposal Facial Mask ® with antigerms capabilities were developed. March 11th, 2009, New clinical trial verifies the efficacy of Kenrico Sap Sheet ZEO in heavy metals detoxification. February 1st, 2009, Kenrico has recently been independently audited and awarded ISO 14001 and ISO 9001 by JISC (Japanese Industrial Standard). These certifications from one of the most respected bodies in the world signify to customers that they can be sure they are buying from a company that is both environmentally responsible and compliant with environmental law. ISO 14001 is the standard for environment certification which supports environmental protection and prevention of pollution. ISO 14001 also ensures that the product is designed with the environment in mind. A commitment to operating Kenrico in conformance with the ISO 14001 and 9001 standards not only helps to ensure the quality of products and services, but more importantly confirms to all that Kenrico has defined and documented processes that ensure consistent customer satisfaction. Kenrico strives to only provide the best products and to earn respects from its clients. December 20th, 2008, FX-2 and AGi Sap Sheets offer a new hope for allergy relief. September 12th, 2008, Soothing Edition (Aqua Cool TUV) with Tourmaline & 5 soothing herbs. Receive a relaxing, soothing sensation while detoxing at the same time. 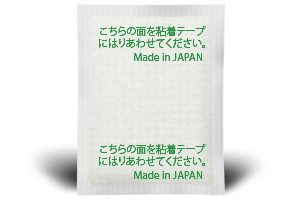 Made in Japan with the highest grade ingredients. July 9th, 2008, Kenrico pledged cash and Sap Sheet donation to UNICEF Japan. Kenrico and its distributors strive to be part of a global effort to save, protect and improve children's lives. June 11th, 2008, Microscopic research conducted by Japanese Food Research Laboratories offered proof of the high effectiveness of Kenrico Sap Sheet in removing toxins from the body such as heavy metals, uric acid and oxalic acid. 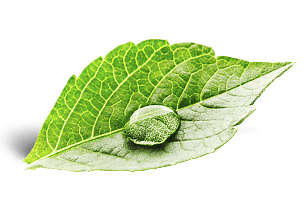 June 5th, 2008, Kenrico's organic certification for Kenrico Sap Sheet addresses a growing worldwide demand for organic ingredients. March 3rd, 2008, Mandatory Safety Testing further confirmed Kenrico's highest manufacturing standard. May 20th, 2007, The world's second book about Sap Sheet is the final stage of development. January 4th, 2006, 100% effectiveness against germs. Kenrico Foot Wipes. January 1st, 2006, New CC sap sheet with Green Tea (Catechin - ECGC and L-Theanine). Total of 15 Sap Sheet to choose from. November 4th, 2005, Confident testing result from the latest testing of Kenrico Gentlecare Foot Wipes. September 3rd, 2005, New foot wipes. Perfect combination with Kenrico Sap Sheet. July 3rd, 2005, New QU-1 detox pad with Milk Thistle. 14 high quality detox pads to choose from. July 1st, 2005, The world's first book about Kenrico Sap Sheet, "Miracle Patches..." is now available. March 20th, 2005, Our second production facility expansion is now complete. Doubling Kenrico's production speed and delivery. November 11th, 2004, New KX-2 model with Tourmaline and Amethyst. 12 high quality Kenrico Sap Sheet to choose from. July 20th, 2004, Custom print is available for minimum of 100,000 sap sheets. June 4th, 2004, Kenrico continuous research in details. Another reason why Kenrico Sap Sheet is superior. May 7th, 2003, Microbial Limit further validated the testing result of USP Microbial Limit Testing. May 7th, 2003, USP Microbial Limit Testing confirmed the cleanness of Kenrico Sap Sheet. May 7th, 2003, FHSA Skin Irritation Testing performed on Kenrico Sap Sheet indicated that Kenrico Sap Sheet is non irritant and absolutely safe for all ages.